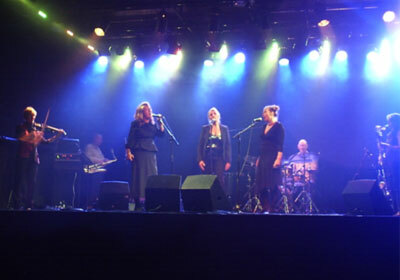 ZAUM and vocal group The Heavens at the launch of 'I Hope You Never Love Anything As Much As I Love You' at The Institute of Contemporary Arts, London, September '07. From left to right: Cathy Stevens, Geoff Hearn,Kathie Prince, Julie Harris, Fliss Kingston, Steve Harris, Karen Wimhurst. Thanks to all who came and hope to be back in London late February / March.